Home Jobs The tourism tidal wave: what skills do we need most? The tourism tidal wave: what skills do we need most? Auckland tourism and hospitality leaders have launched a website and campaign to recruit 40,000 young people into the industry – but they say the Government needs to step up as well. “Jacob” was Jacob Briars, the barman who had become a friend to the tight-knit group of actors, during their long stay in New Zealand to shoot Peter Jackson’s Lord of the Rings trilogy. Getting name-checked at the Academy Awards, while brilliantly entertaining, probably wasn’t enough to reassure Briars’ parents about his decision to go full-time mixing cocktails. After all, hospitality was merely meant to help pay his way through his law and politics degree. And there is still a stigma attached to jobs in tourism and hospitality: in part because the wages are low, they are seen as dead-end jobs. Not real careers. Like most student politicians, Briars dreamed of continuing in politics, making a difference, perhaps even becoming prime minister. What has certainly reassured them is that he has now made an international career out of hospitality and tourism. 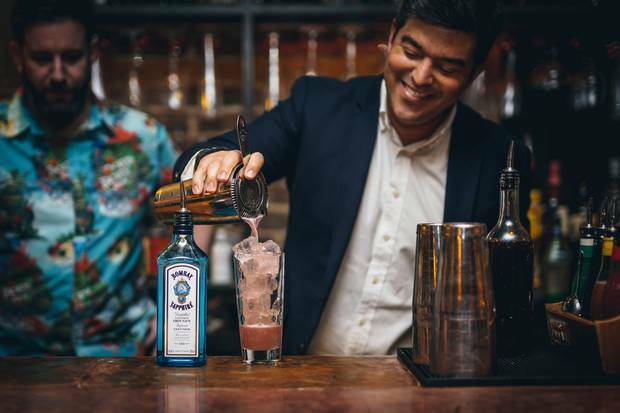 As global advocacy director of drinks giant Bacardi, he is based in Brooklyn, New York. Every other week, he’ll be travelling to another corner of the world to meet with some of his 350 staff. When he’s back in Brooklyn, he’ll start his day with a run along East River, and then grab a flat white from one of the local coffee shops staffed by Kiwis and Aussies. He’s not saying, but he’s probably earning nearly as much as he would have as prime minister. More important to him, though, he believes he’s found his own way to make a difference, setting up structures to talent-spot young people from the slums of Nairobi or the banlieues of Paris, and help them escape poverty and build careers in hospitality. It is stories like these that will be gentle lounge music to the ears of Auckland’s tourism and hospitality leaders, who have launched a major campaign and website to recruit 36,000 people into the $36 billion sector over the coming five years. In Auckland alone, the number of jobs in the sector is expected to increase 27 per cent by 2025. There will be an estimated 76,000 Aucklanders working in the industry in the next three years – but that’s not enough. Tourism and hospitality, he says, is different. It’s eye-opening. It’s fun. It’s a chance to re-establish the human connections that are too often lost in our emoji-stilted reliance on social media. Despite the looming skills shortage, one in eight young New Zealanders is neither in work nor training. ATEED has been in talks with Tourism Minister Kelvin Davis and is calling for action: “Ultimately we need central government to recognise that this is a vocation that needs to be taken a little more seriously,” Armitage says. ATEED’s new Go with Tourism website includes a “right fit” quiz to direct young people into the best training or career; and “success stories” of some inspiring young adventure tourism guides, chefs, web designers and more. The site also contains a tool to hook up employers with aspiring staff – if they first sign a pledge to work towards paying the Living Wage. This is important, because the air steward stigma remains: that tourism and hospitality is all about relatively low-skilled service jobs, or holiday jobs. Pete Jones is principal of Manurewa High School. The south Auckland college offers its 2000 students courses in tourism and hospitality. And Jones wanted to take it further this year with a strong NCEA Level 2 package that partnered up with employers like Auckland International Airport and SkyCity to give his students real-world experience. It didn’t happen. The teenagers were excited. The tourism industry was crying out for it. But he couldn’t get the parents over the line. Research last year by ATEED and Tourism Industry Aotearoa found tourism was seen as “a drop-out subject”, in part because it did not count as credits towards university entrance. Some school teachers and careers advisors discouraged students from pursuing tourism. Yet a report this year from the World Travel and Tourism Council says the skills gained by young people in travel and tourism can translate into rewarding careers in the sector – and beyond. “These youth jobs have proven to set workers up for higher paying and fulfilling jobs in later careers,” it concludes. When Mac Burrows began working at adventure tourism start-up EcoZip this summer, he thought it was just a holiday job. But now, as he takes a break between guiding tourists down the ziplines strung from one of Waiheke Island’s highest peaks, he laughs. 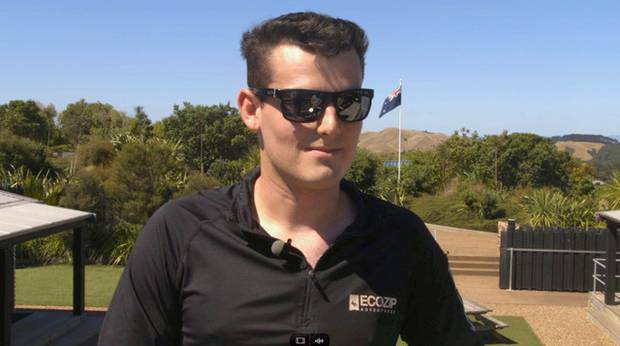 The 20-year-old Bachelor of Business student thinks he may have found a career – he hopes to start his own adventure or eco-tourism company on the island where he grew up. His favourite memories are all on Waiheke, camping down at Whakanewha Regional Park, discovering the beautiful bush and ocean, swimming at high tide … now he is considering how he can share that with visitors in a sustainable way. That’s a criticism that the School of Tourism, which trains 1400 students a year, rejects. Group sales manager Ben Potter says seven of their 11 qualifications focus on the wider tourism industry, including cultural, adventure and environmental tourism, or working around transport on the water, at airports and in travel agencies. The NZ School of Tourism promises sustainability but its television ads reflect demand from some of its corporate partners (which include Air NZ, Koru Clubs and Auckland Airport) that it train kids to be airline crew. Jacob Briars agrees. He’s been pretty much everywhere, but keeps coming back to New Zealand. He’s just bought Mea Culpa bar in Ponsonby, and will relaunch it later this month. He says our tourism and hospitality industry needs to work on basic skills, on-the-job training, and providing a consistent quality of service. For example: almost every time he visits Auckland he goes to SPQR on Ponsonby Rd, because his friends in the fashion world love it. And for 15 years, he’s ordered the same dish: linguini with crushed chilli, roast garlic cloves, pinenuts, olives, wilted spinach, rocket & parmigiano reggiano. 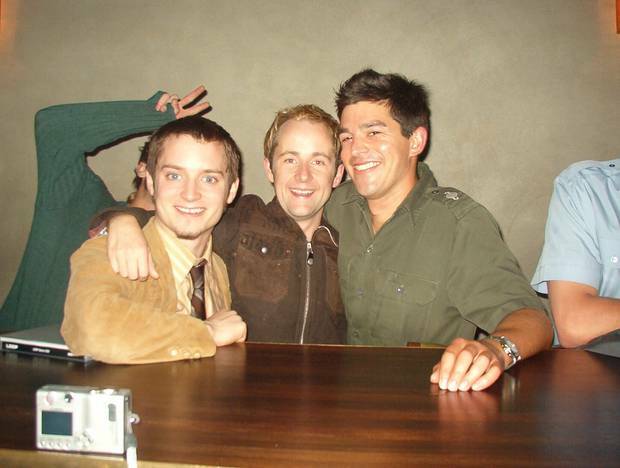 Jacob Briars with Lord of the Rings stars at Matterhorn Bar in Wellington. Photo / supplied.